Make three dimensional eyebrows, milk spots, skin and bumpy tongue textures, as well as many other physical characteristics seen on real babies. Make three dimensional eyebrows, milk spots, skin and bumpy tongue textures, as well as many other physical characteristics seen on real babies. 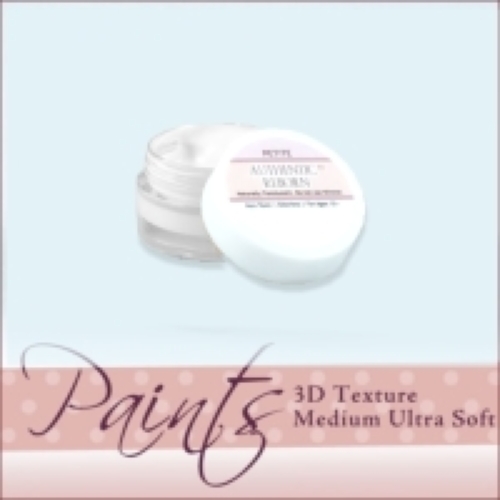 To use: Mix your own paint colors and then add 3D Texture Medium Ultra Soft. Apply with sponge or brush over baked-on features. Add as many layers as you like until you get the 3D effect you desire.